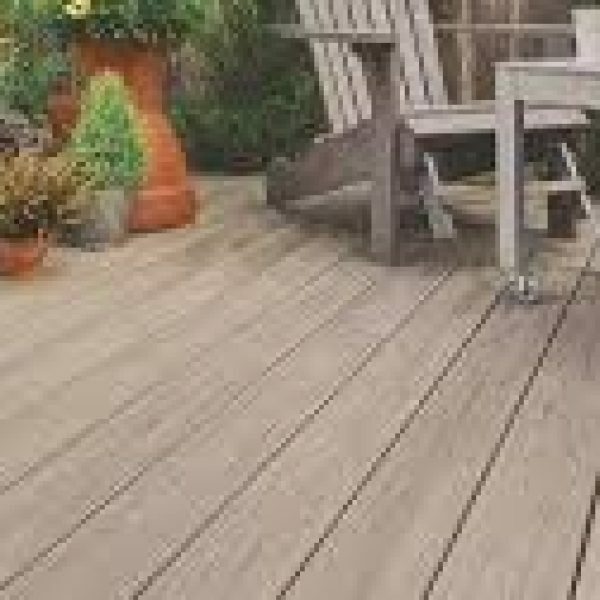 Our top quality Composite Decking and Fencing are easily mistaken for traditional wooden products. However, unlike wood, our great products require practically NO MAINTENANCE. There is no need for yearly treatments; they retain their great appearance for years. 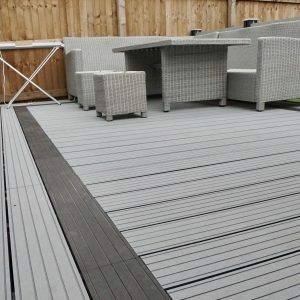 Our Composite Decking has a durable, anti-slip surface which will lighten in colour very slightly over time; and looks great the day you install it. No matter how much hard work it gets, it won’t crack, splinter or warp. 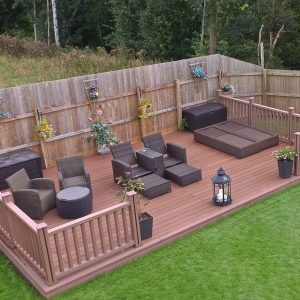 Our Composite Fencing is simple and quick to install; and, once it’s up, it needs very little maintenance with no need for painting, staining or sealing. The fencing panels are incredibly strong yet very light for ease of handling and transportation. 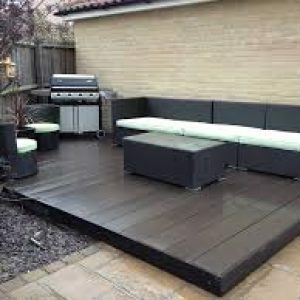 Cool, contemporary black decking and fencing. Call NOW for best prices and advice.